Sony has revealed the six games that PlayStation Plus subscribers can download for free in December. 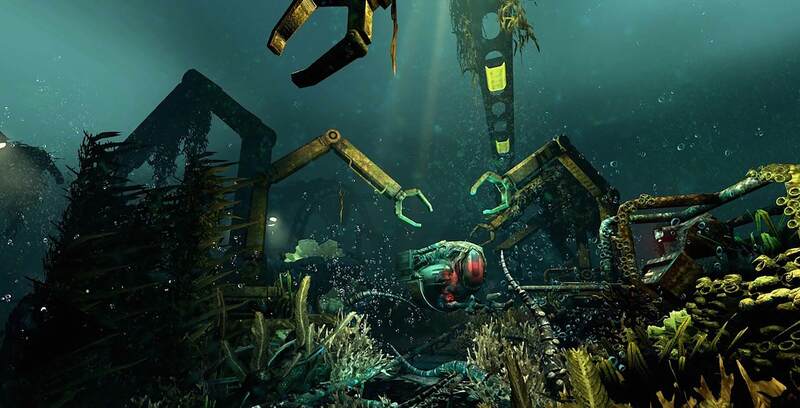 From the studio behind Amnesia: The Dark Descent comes Soma, a sci-fi horror game set in a mysterious underwater facility. As Simon Jarrett, players will have to find out why the base’s machinery has frighteningly started to take on human characteristics. Soma originally released on PlayStation 4 in September 2015 and regularly costs $29.99 CAD. In Onrush, players face off using a variety of off-road vehicles, including cars, buggies and motorcycles. Unlike many racing games, Onrush doesn’t task you with crossing a finish line, placing the focus instead on taking out as many drivers as possible in either singleplayer or online multiplayer. Onrush originally released on PlayStation 4 in June 2018 and regularly costs $79.99. Space shooter Steredenn blends retro-inspired visuals with frenetic space pirate combat. Enhance your ship with dozens of customization options obtained from clearing randomly-generated environments. Steredenn originally released on PlayStation 3 in August 2017 and regularly costs $17.49. Steins;Gate follows a group of teenage scientists who discover the ability to send messages to the past to change the future. As a visual novel, Steins;Gate lets players choose the path of the branching story as they become entangled in a deadly time-traveling conspiracy. SteinsGate originally released on PlayStation 3 in August 2015 and regularly costs $19.99. This 2D platformer focuses on Robin, a young and well-meaning mechanic who finds herself hunted by the One Concern, a ruthless religious authority that has taken over the government. Through Metroidvania-style gameplay, players must find new allies that can help her fight back against the One Concern and restore the world to its former glory. Iconoclasts originally released on PlayStation Vita in January 2018 and regularly costs $26.99. As an immigration officer in the dystopian nation of Arstotzka, your job is to make sure that only those with the right paperwork are allowed entry. Through puzzle gameplay, players must navigate an increasingly complicated set of rules to determine which citizens are presenting falsified information. Papers, Please originally released on the PlayStation Vita in December 2017 and regularly costs $13.49. PlayStation Plus members can download all six games for free between December 4th, 2018 and January 1st, 2019. Finally, PS Plus subscribers can snag Warframe‘s PlayStation Plus Booster Pack III for free until January 15th, 2019. The booster pack includes 100 Platinum, 100,000 Credits, Quanta (a Corpus laser rifle), Quanta Obsidian Skin, 7-Day Affinity Booster and a 7-Day Credit Booster. In the meantime, November’s free PS Plus games, which includes Yakuza Kiwami and Bulletstorm: Full Clip Edition, can be found here. Xbox gamers, meanwhile, can see what’s coming to Games with Gold in December here.